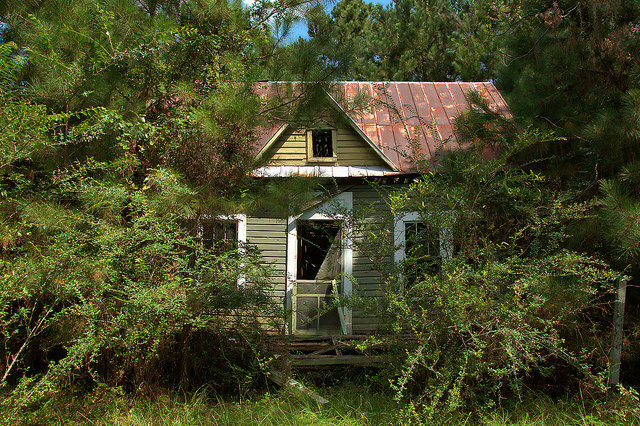 Tarboro is an isolated community in Camden County’s interior, near White Oak. 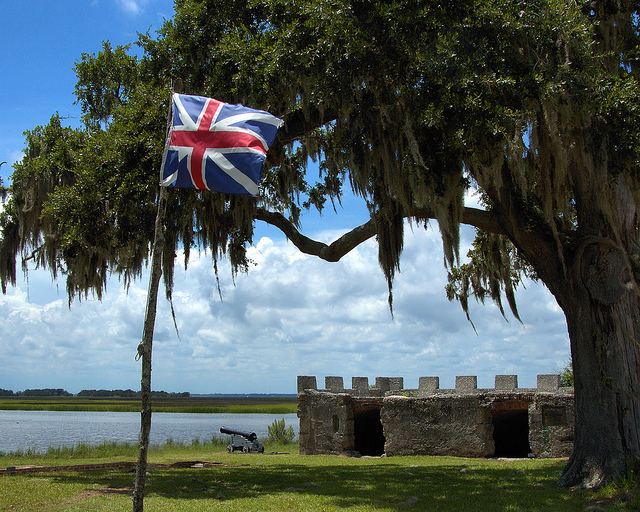 Fort Frederica is just three years younger than Georgia itself. 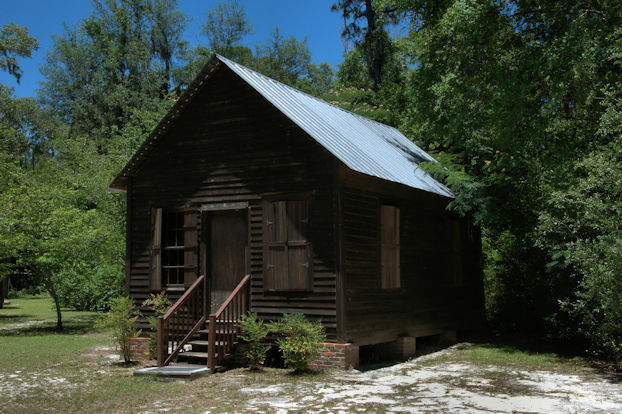 It represents a time when the colony was a buffer between British South Carolina and Spanish Florida, and was headquarters to Georgia’s founder, General James Oglethorpe during the War of Jenkins’ Ear. 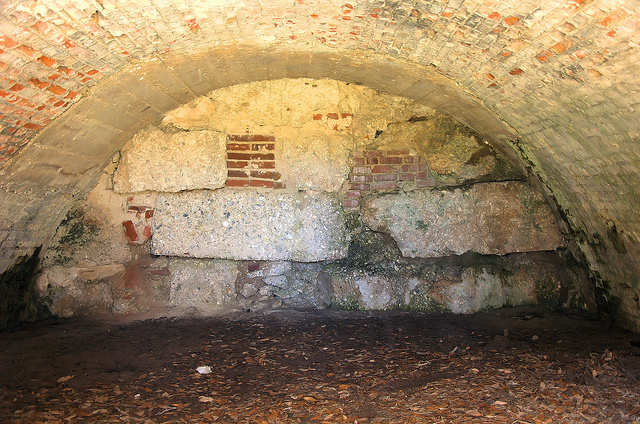 The small section of the tabby fort that remains contained the magazine, and is in relatively good condition. 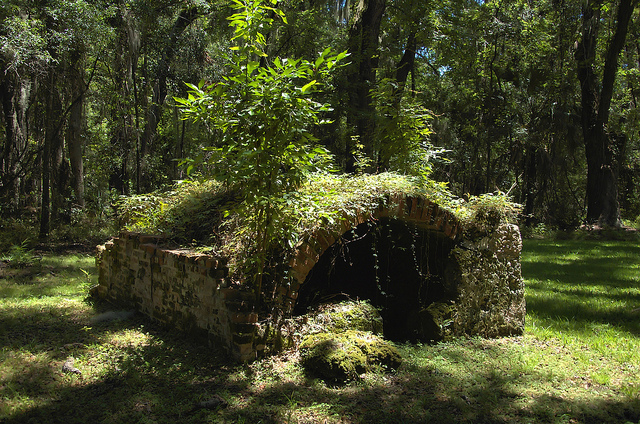 It’s maintained by the National Park Service as Fort Frederica National Monument. If you come in summer bring bug spray and lots of water, though the fountain at the interpretive office has the coldest and best water on St. Simons. 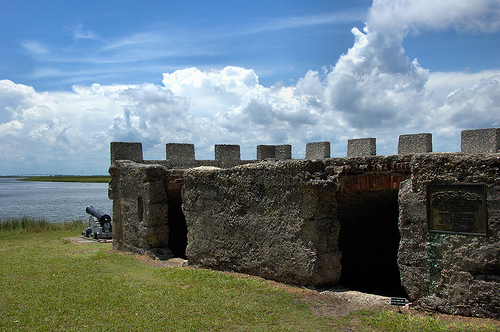 The view above shows Fort Frederica from the riverside, with a 29-pound English cannon of the period. 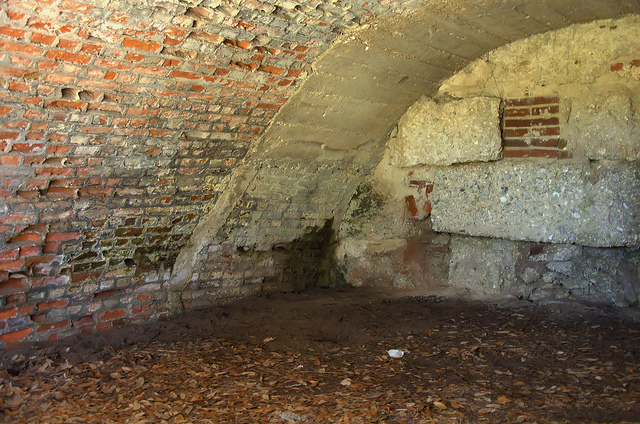 The view above shows the magazine and the two below show the interior. 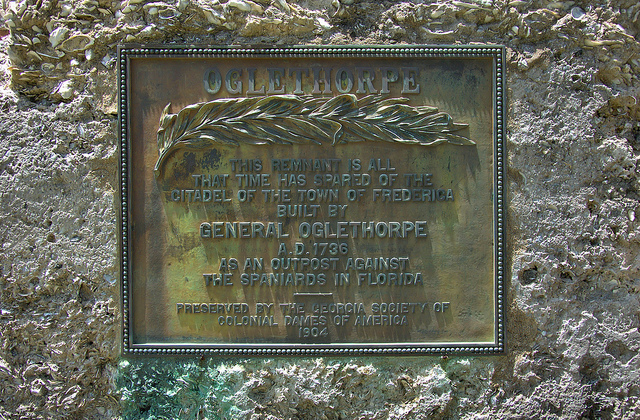 This bronze plaque was placed in memory of James Oglethorpe by the Georgia Society of Colonial Dames in 1904. 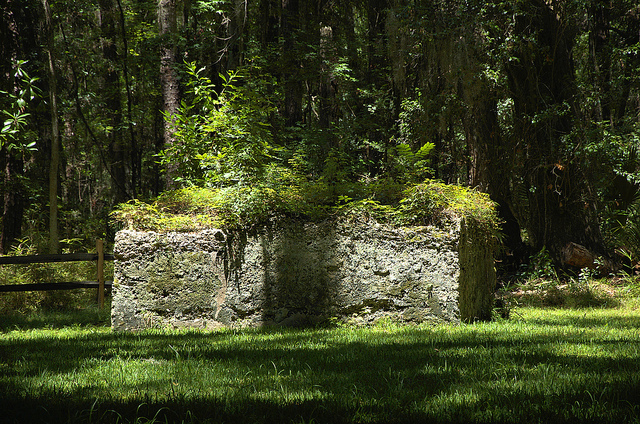 The supporting text reads: This remnant is all that time has spared of the citadel of the town of Frederica built by General Oglethorpe A. D. 1736 as an outpost against the Spaniards in Florida. No one buried here is known today. The few remaining crypts are in critical condition. 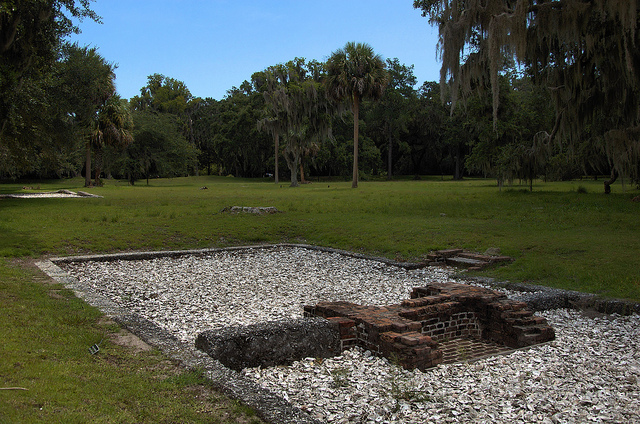 The images below illustrate archaeological excavations made at the site of the town of Frederica, on St. Simons Island. Frederica was planned by Georgia’s founder, General James Oglethorpe, who preferred it to Savannah. It was named to honor Frederick, Prince of Wales, the son of King George II. Integral as a military outpost against the Spanish in its early days, the town fell into decline after the Battle of Bloody Marsh and was largely abandoned by 1755. Frederica survived a fire in 1758, but soon thereafter, was all but forgotten. 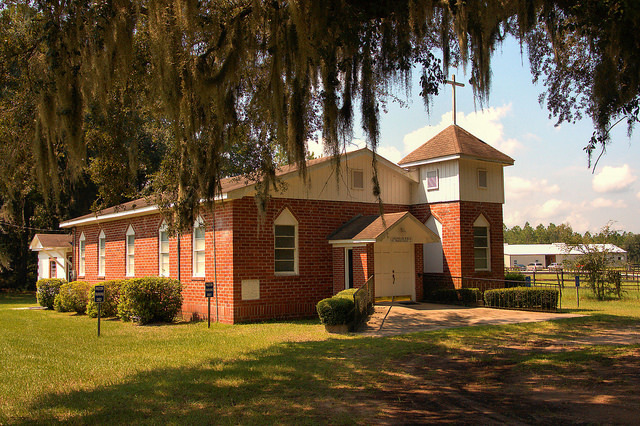 All homes below are thought to have been built between 1736-1741 and represent the most important evidence of Georgia’s early European settlement. 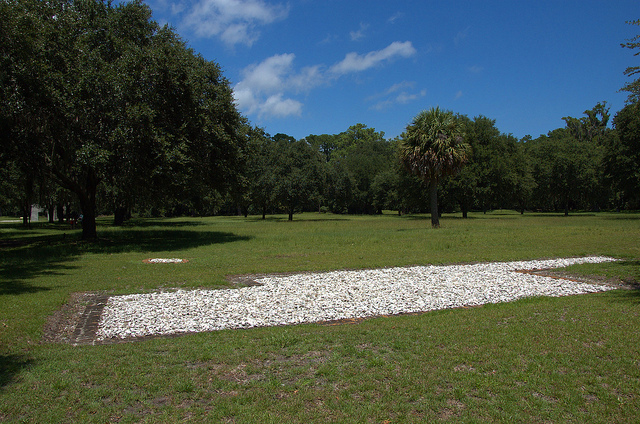 This is thought to be the homesite of Francis Moore, who served as General Oglethorpe’s secretary, town recorder, and keepers of the King’s stores. He and Oglethorpe were often at odds and when Moore returned to England in 1743 he published an account of the founding of Frederica, A Voyage to Georgia. 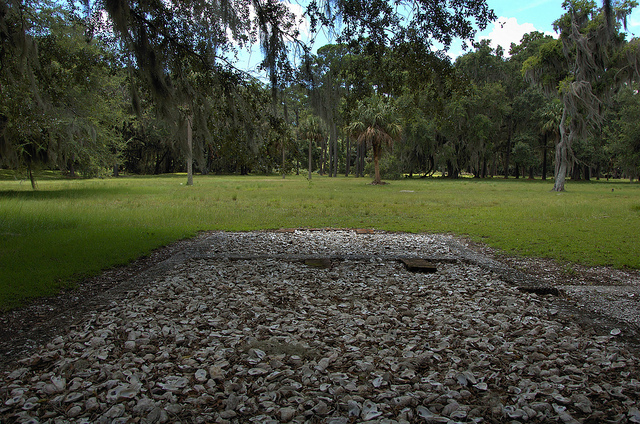 This is believed to have been the site of the home of Lieutenant Primrose Maxwell of Oglethorpe’s Regiment. Lieutenant Maxwell took part in the 1740 expedition against the Spanish at St. Augustine and was one of the pallbearers at the funeral of Chief Tomochichi in Savannah. 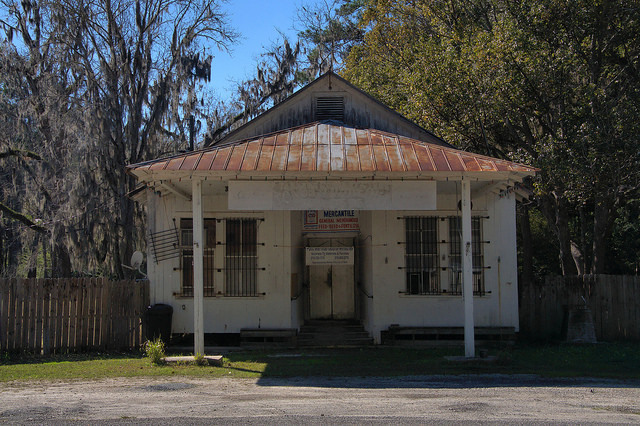 John Calwell and his family lived at this site and made the finest soaps and candles in the town of Frederica, which were exported to New York and Philadelphia. Calwell was also “Conservator of the Peace” for the town. 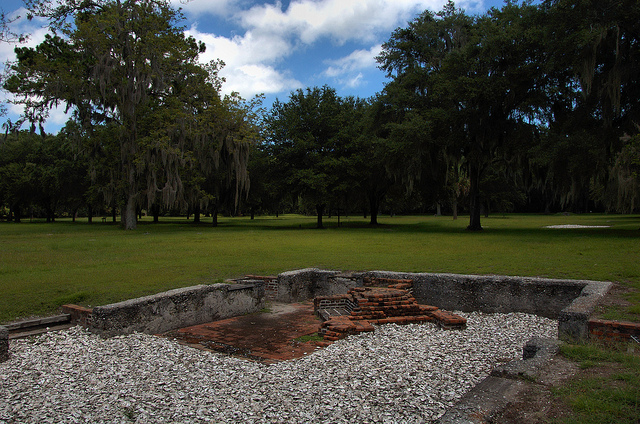 Daniel Cannon is thought to have lived at this location. 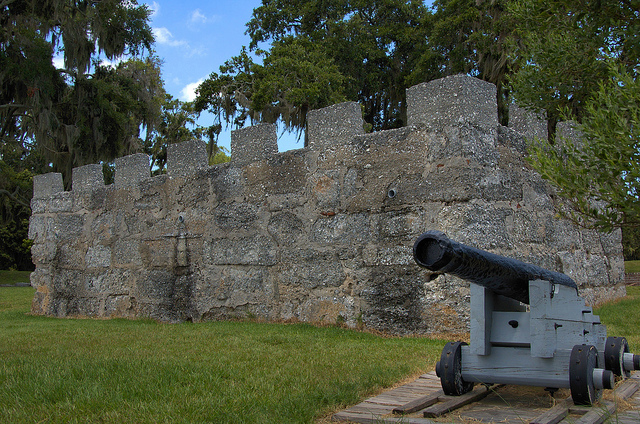 Cannon was perhaps the finest builder in Frederica and notably made the oars for Oglethorpe’s 1740 expedition against the Spanish at St. Augustine. 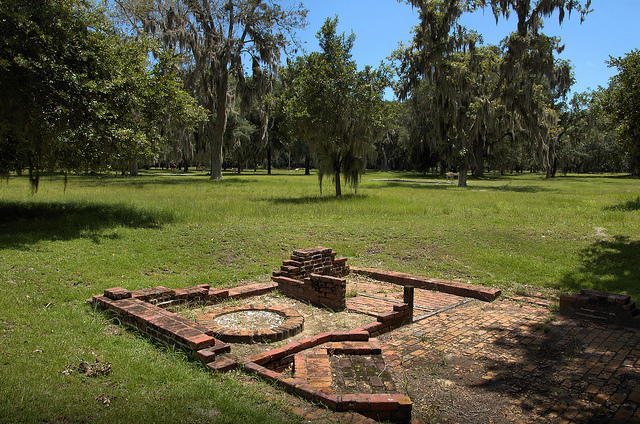 Archaeologists believe this home was destroyed during the Great Town Fire of 1758. 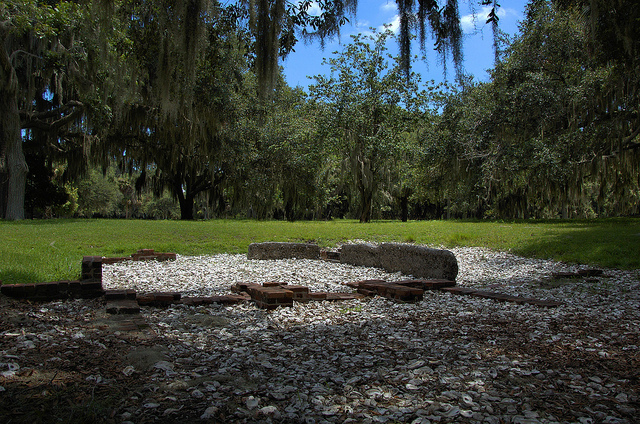 Captain James McKay, who acted as Oglethorpe’s commanding officer during the General’s 1743 attack on St. Augustine, likely lived here, after baker Will Allen and carpenter Thomas Sumner. 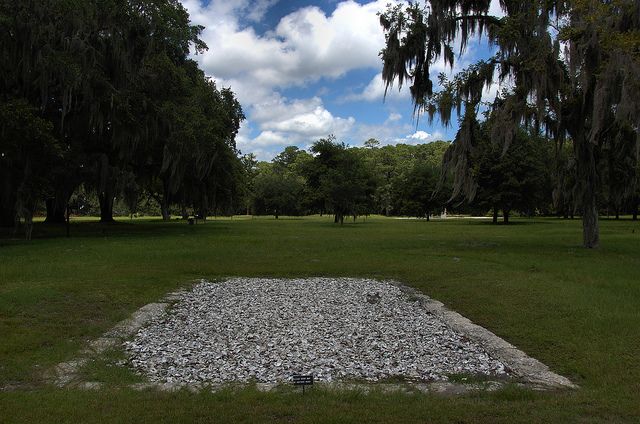 This was the homesite of one of Frederica’s first settlers, Samuel Perkins. Perkins was a coachmaker and while renowned for his skill, was in constant conflict with General Oglethorpe and was “persecuted out of the colony” in May 1741. He settled in Charleston, South Carolina. On this site were located two houses which shared a common wall, much in the style of English rowhouses of the day. Samuel Davison lived in the house in the foreground and operated a tavern, made gunstocks, and served as town constable. Charles Wesley called Davison “my good Samaritan”. Dr. Thomas Hawkins lived in the other section and served as Regimental Surgeon, as well as town doctor, apothecary, and magistrate. He and his wife Beatre were constantly quarreling with the Davisons, who left Frederica in 1741. Beatre even threatened to kill Reverend John Wesley with a pair of scissors and a pistol in this house.